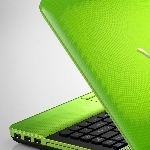 6 tips for making your PC a bit more environmentally friendly.–PC Pitstop. Whether you’re looking to feel a little less guilty about poking at Mother Nature or you want to cut down on your electric bill (or both), it’s probably a good first step to green up the devices in your home that you have the most direct control of. You don’t even have to sacrifice a lot to get your devices into the green spirit. I’ll show you how you can do this and make it work in a way that will not demand a complete change of lifestyle! The personal computer is the pinnacle of muscle power, but it also hemorrhages your wallet. The average computer uses anywhere from 65 to 250 watts per hour of continuous power. Its usage gets lower as you stress its components less. You can use this to your advantage. This excerpt is shared with permission from maketecheasier.com.